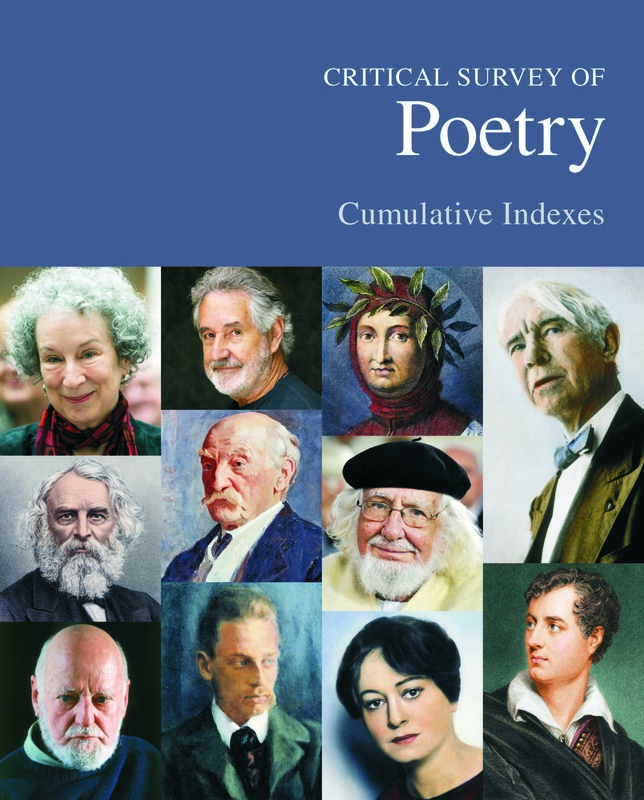 Critical Survey of Poetry profiles major poets throughout history and the world, and includes an analysis of their significant individual poems or collections. Essays begin with full data on dates and places of birth and/or death, and a list of the poet's "Principal Poetry." Next is a brief overview of "Other Literary Forms" and two longer sections, "Achievements" and "Biography." 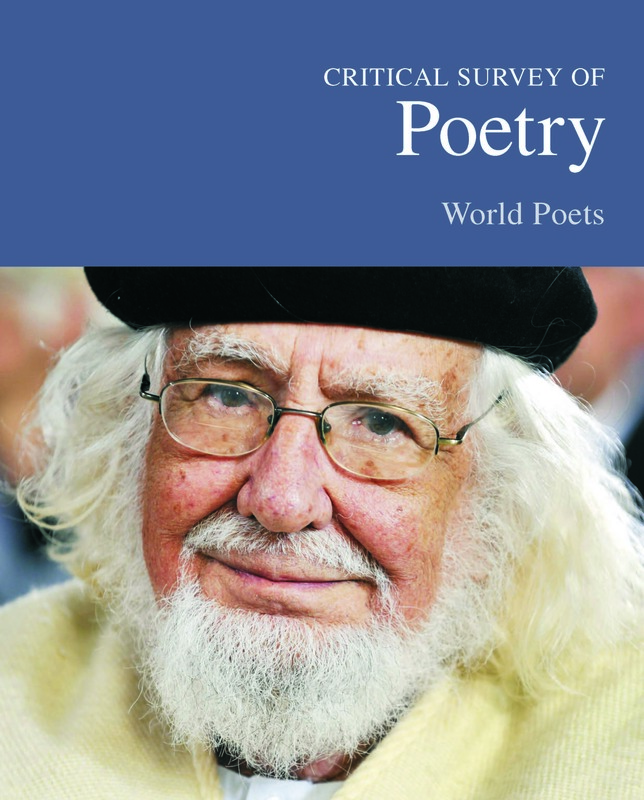 The longest section, "Analysis," discusses the poet's work and examines several poems. The final section includes a bibliography containing up-to-date resources. The Fourth Edition includes all poets from the previous edition and adds 146 new ones, covering 845 poets in total. Altogether, the writers covered in this set represent more than 40 countries and the history of poetry from antiquity to the 21st century. The set also offers 72 informative overviews; 20 of these essays were added for this edition, including all the literary movement essays. 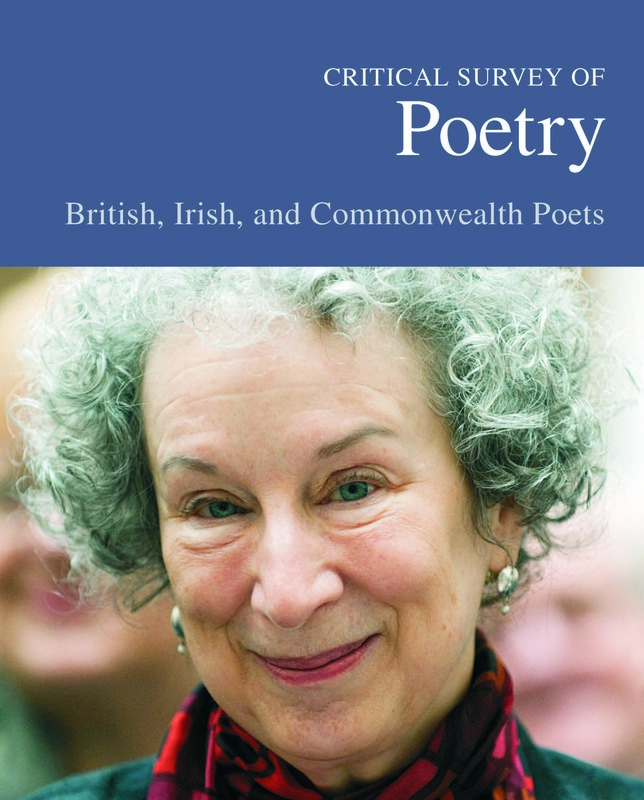 For the first time, the material in the Critical Survey of Poetry has been organized into five subsets by geography and essay type: a 4-volume subset on American Poets; a 3-volume subset on British, Irish, and Commonwealth Poets; a 3-volume subset on European Poets; a 1-volume subset on World Poets; and a 2-volume subset of the Topical Essays. A Cumulative Indexes volume covering all five subsets is free with purchase of more than one subset. The result is flexibility for libraries, allowing them to select the material most needed for their poetry reference collections and build the larger set over time. Subset details are listed below. The poet subsets are arranged alphabetically, and each poet appears in only one subset. Essays begin with full data on dates and places of birth and death, and a list of the poet's "Principal Poetry." Next is a brief overview of "Other Literary Forms" and two longer sections, "Achievements" and "Biography." 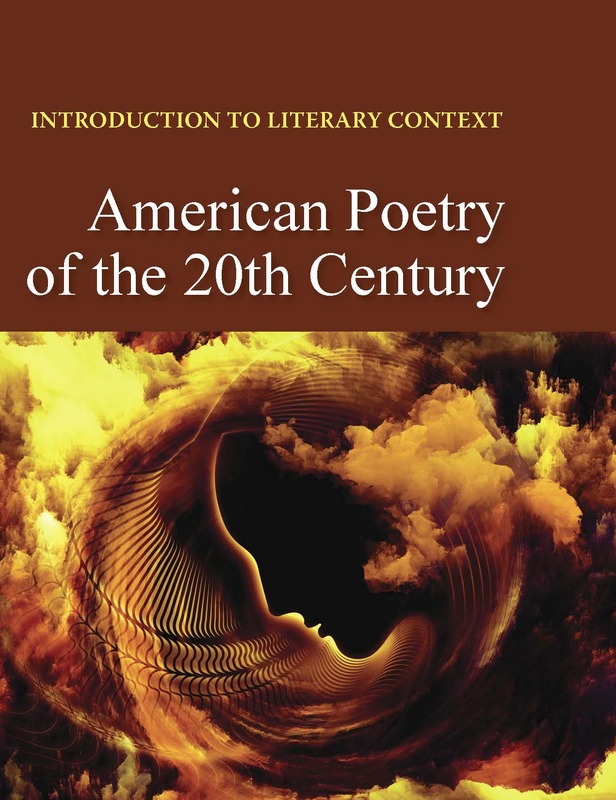 The longest section, "Analysis," discusses the poet's work and examines several of the poems. The final section includes a bibliography containing up-to-date resources for further study. 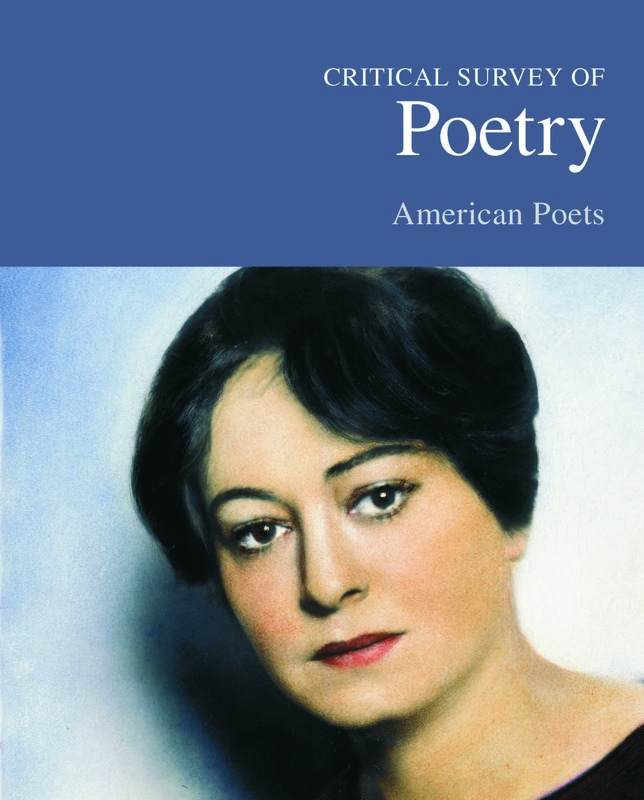 The four volumes of American Poets include 405 articles on some of America's Best loved poets, including Walt Whitman, Ezra Pound, E.E. Cummings and Gwendolyn Brooks. New poets covered include Sherman Alexie, Sandra Cisneros, Alberto Rios, and Shel Silverstein. Poets covered here include Margaret Atwood, Elizabeth Barrett Browning, Geoffrey Chaucer, T.S. Eliot, D.H. Lawrence, Christopher Marlowe, William Shakespeare, Oscar Wilde, William Wordsworth, and William Butler Yeats. New to this edition are Leonard Cohen, Christopher Logue, and Harold Pinter. 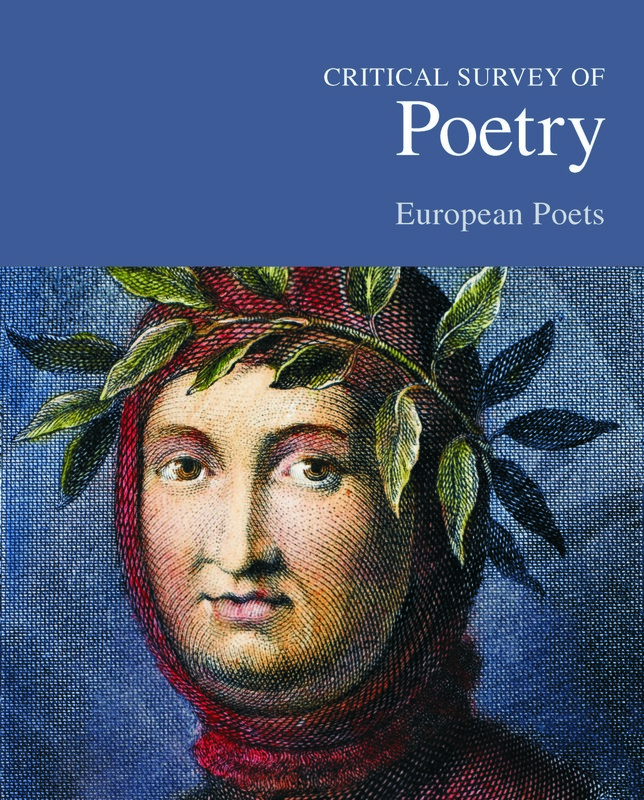 This three-volume subset discusses major poets from the many different regions of Europe. The 195 essays include such poets as Samuel Beckett, Jean Cocteau, Homer, Michelangelo, Sappho, Arthur Rimbaud, and Virgil. New poets discussed include Giovanni Boccaccio, Herman Hesse, Jorge Manrique, and Anna Swir. This volume examines 68 poets from a wide range of countries, including Nicaragua's Ruben Dario, China's Li Bo, Chile's Pablo Neruda, and Russia's Alexander Pushkin. New poets include Nigerian poet Chinua Achebe, Argentine poet Jorge Luis Borges, and Korean poet Ko Un. 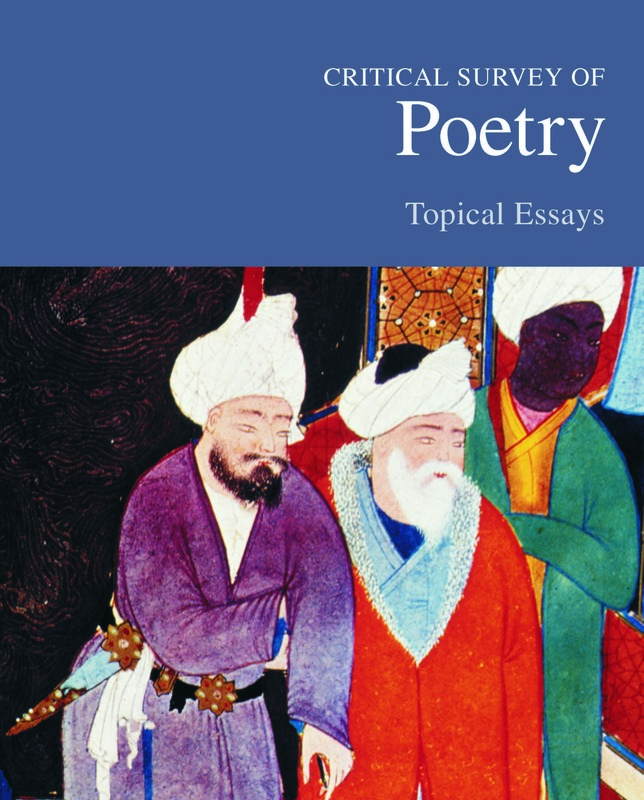 The essays in this two-volume set are organized under categories such as "Poetry Around the World," "Literary Movements," and "Criticism and Theory." New overviews were commissioned on topics such as Australian and New Zealand Poetry, Beat Poetry, Canadian Poetry, and Romantic Poets. This volume brings together in one place all the appendixes and indexes. 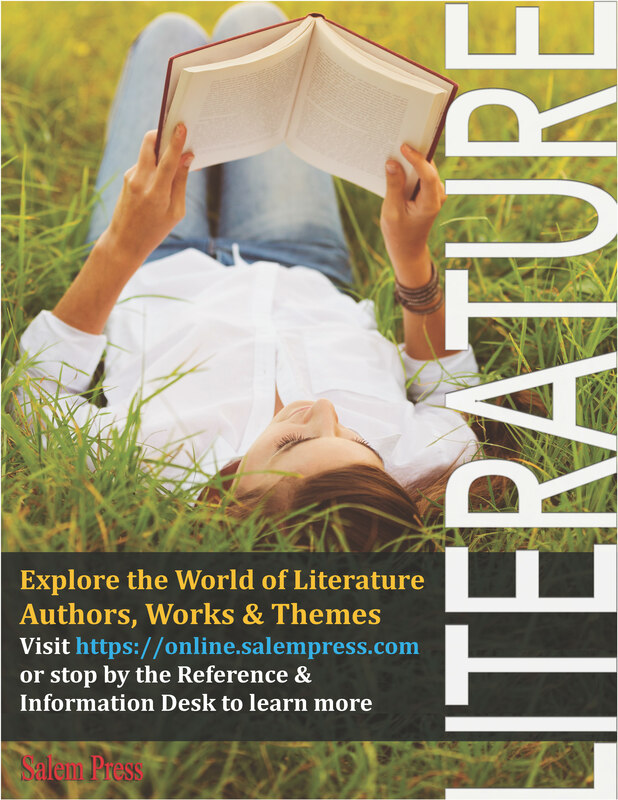 It includes a chronological list of poets, a geographical index of poets and essays, a categorized index, a subject index, a list of major awards, and a complete bibliography. 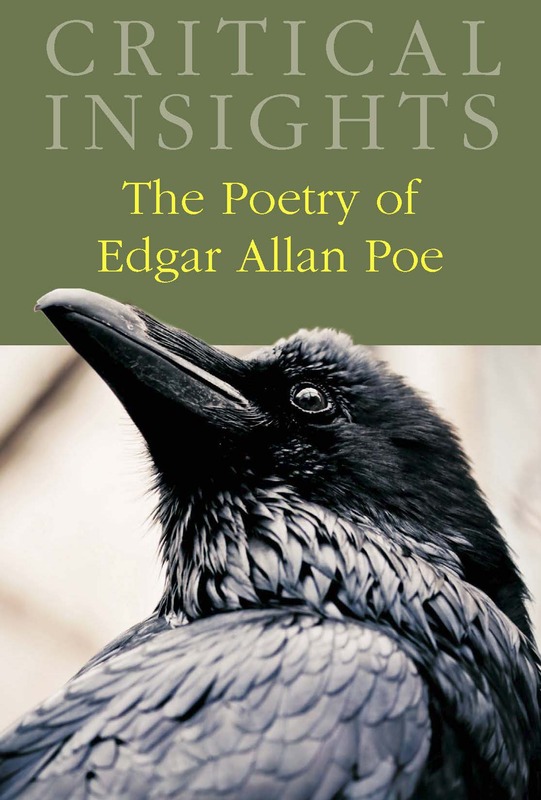 This volume in the Critical Insights series brings together a variety of perspectives on Poe's poetry and poetics. 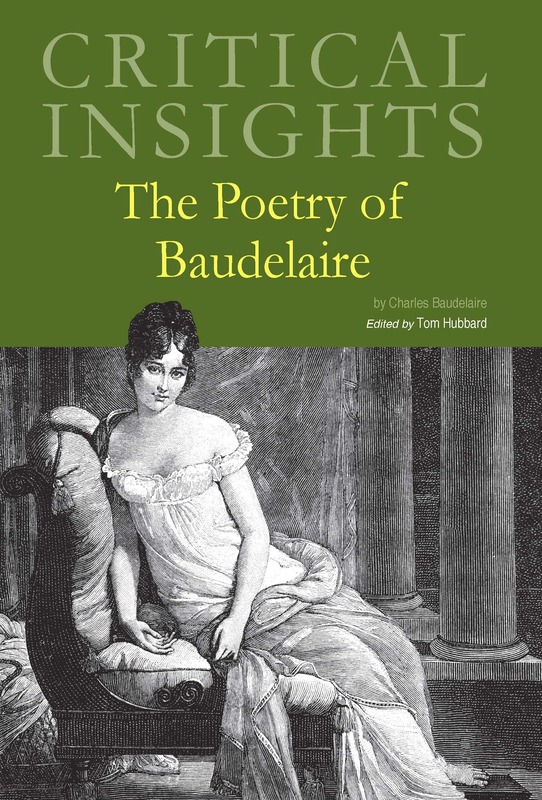 This collection of essays reflects the breadth of the poet's artistic and intellectual worlds, examining Baudelaire's interest in music and the visual arts and how this relates to his poetry. The poet's life and times are well documents, and close readings of key poems offer fresh perspectives on the mind and art of one of the greatest writers of the nineteenth century and indeed of the modern era. 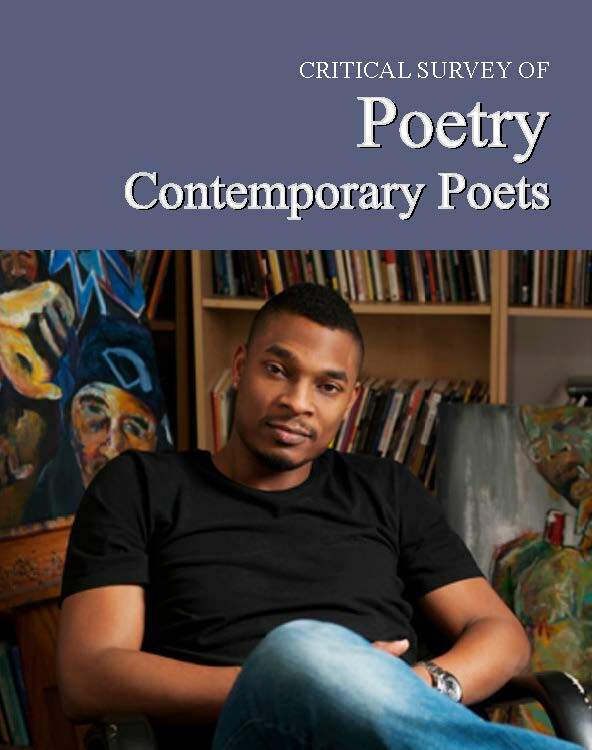 This collection of poetry criticism will give students and researchers a comprehensive synopsis and understanding of not only the piece provided, but on the context and author who wrote it. This volume is a helpful aid for students to learn critical analysis and discussion skills necessary for dissecting literature. 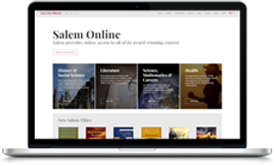 An in-depth resource covering over 900 poets throughout history and the world.